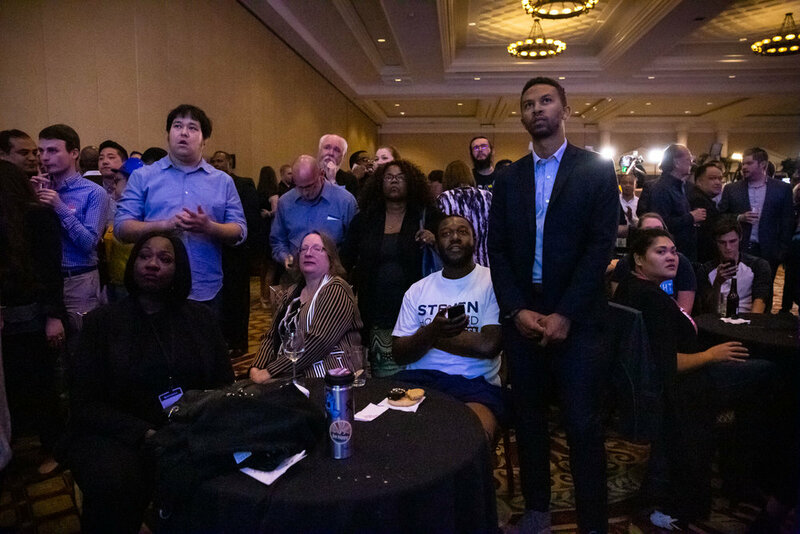 Watching and waiting for election results on Tuesday November 6, 2018. I’ve been back in the US for about a month now, and while this international move has predictably been filled with unpredictable surprises, I’m happy to be back exploring Las Vegas and the southwest. I went to high school here, and while it was a weird place to be a teenager, I always thought Las Vegas would be a fascinating place to be a photographer. It’s interesting getting re-acquainted with the city through some of the assignments I’ve had so far. Since I last lived here full time, old downtown Vegas has been revitalized and transformed into a prime hipster hangout spot, there are all kinds of interesting things happening politically here, and issues like immigration, homelessness, and mental health are all big topics here. It’s a dynamic place and it’s good to have some time to explore some of this.